If you watched Saturday Night Live in the mid to late nineties you’re no stranger to Jim Breuer. Whether he’s acting, doing stand-up or starting a band Jim Breuer touts a comedic style too obnoxious to be ignored, too hysterical to keep a straight face. On Thursday night the comedic legend brought the Marriage Warrior Tour to a sold out Rams Head On Stage in Annapolis. Just a stage a bar stool and a mic. Jim Breuer has a comedic style best described as audacious, it’s loud. He describes his Christian wife, Dee unleashing Satan when she gets upset. He impersonates AC/DC singer Brian Johnson. Jim Breuer commands the microphone, he flails his arms around, makes funny faces, stomps, and screams. It doesn’t come across as rude, though. He’s mostly just making fun of himself. He jokes around about his health, his age, his wife, and kids. It’s all things we can relate to. Being a teenager, the elderly, a moody wife. He told us a story about trying to manage a fight between his wife and one of his daughters. His daughter was on her cell phone and refused to clean and his wife was losing her mind. The way he acted out and impersonated the bickering and screaming it was like watching a TV show. You felt like you were right there in the story. He impersonates a dopey teenage boy with a lacrosse stick. He makes fun of baseball players complaining about a 150-million-dollar contract. He makes fun of how people react to politics. He impersonates being elderly. He uses the mic to make thud sounds and uses the mic stand and stool as props. It’s fascinating to watch! It really is something you have to see. You’ll hear snorting and growling, helicopter sounds. His stories are also very detailed, there are vivid descriptions and hilarious reenactments. It was just what I was hoping for. His stand-up routines from Premium Blend on Comedy Central where done the same way. If anything Jim Breuer has gotten better. I enjoyed this performance even more than those specials. I think it’s his best work to date. My favorite joke was when he acts out how he wants his funeral to be. He wants to be shot out of a cannon to “For Those About To Rock” by AC/DC. I laughed so hard I almost fell out of my chair. It’s a must see! Jim Breuer is also in a band called Jim Breuer and the Lound and Rowdy. They just released a new album called Songs From The Garage. During the show, Jim describes how one of the songs “Mr. Rock n Roll” came to fruition. He was approached by AC/DC singer Brian Johnson about making a song. Jim reenacts the whole discussion. When Jim Breuer impersonates Brian Johnson it’s hysterical! It’s non-stop laughter! This show was so funny. 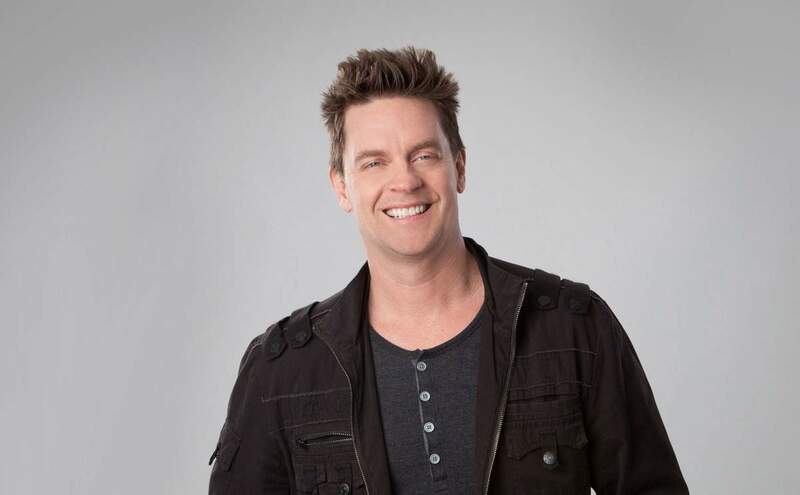 Jim Breuer will make you laugh even if you’re trying to resist laughing. I laughed so hard my eyes teared up, it’s that funny. Definitely catch Jim Breuer if you get a chance.